We’re very proud to announce that BMIT, Malta’s leading data centre, cloud and managed services provider has been shortlisted for the prestigious ‘Data centre of the year’ at the eGR B2B Awards for the second year running. The event brings together the best service providers and B2B operators in the online gaming industry to celebrate their achievements in all the major egaming areas. 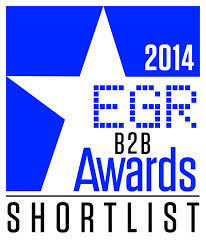 The eGR B2B Awards reward and celebrate the best service providers and B2B operators in the online gaming industry by recognising their achievements over the last 12 months in a number of categories. The award shortlist includes operators in all the major egaming disciplines including betting and gaming software, networks, mobile, payments, recruitment, IT & infrastructure. Over 500 major egaming service providers and B2B operators are expected to attend the fifth edition of this event, which this year will be held on Tuesday 17 June, at The Pavilion at the Tower of London.